We returned to New Jersey from a 9-day vacation in Florida today. As expected, we were greeted with temperatures in the mid-40s. Not exactly the welcome home hug I was looking for, but I can't expect much more from November in the northeast. Today, I'm surrounding myself with all things warm and cozy and sharing a few favorites with you in today's Friday Favorites. First things first. 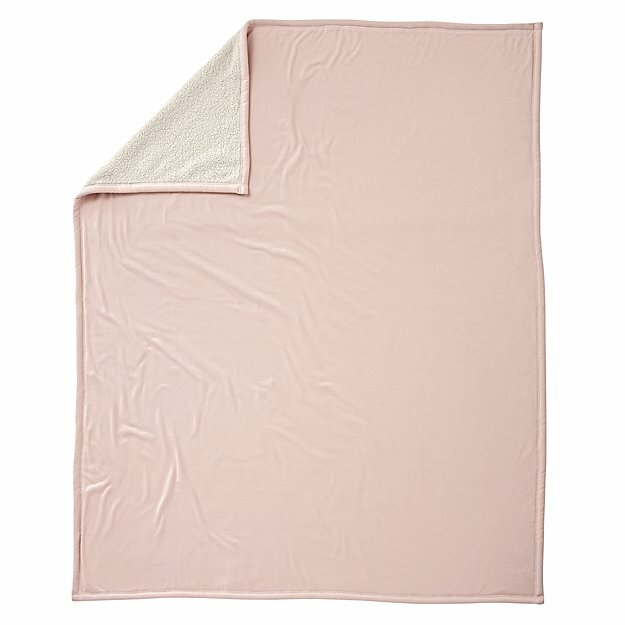 A blanket that smothers you with warmth and comfort is a must. I love that this is two-sided. 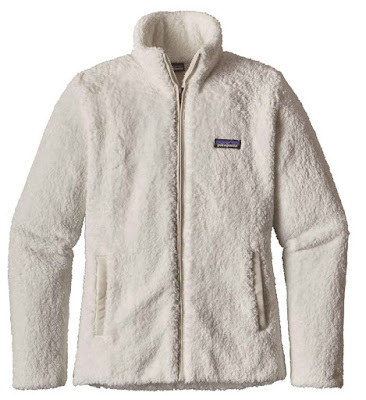 One side is lush sherpa and the other is sweatshirt material. I mean, who doesn't love to hang out in sweatshirts when it's colder than cold outside? Once the temperature drops below 60 degrees Fahrenheit, I practically live in my Patagonia fleece. It's so warm and comfortable that I've even been known to wear it for sleeping. What can I say? I like to be warm. While the price tag may seem high, this jacket will serve you well over and over again. It's definitely worth the splurge! 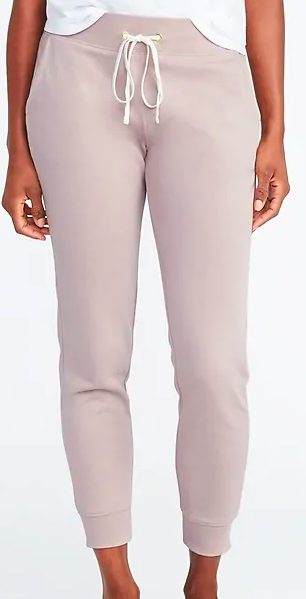 After a long day of wearing jeans, a dress, or a skirt, you'll want to slip into something A LOT more comfortable. Guess what? These comfy joggers are a lot more comfy than whatever you're wearing. So, go for it. Add them to your cart and you won't regret it. My extremities are the first things to get cold, especially my feet. 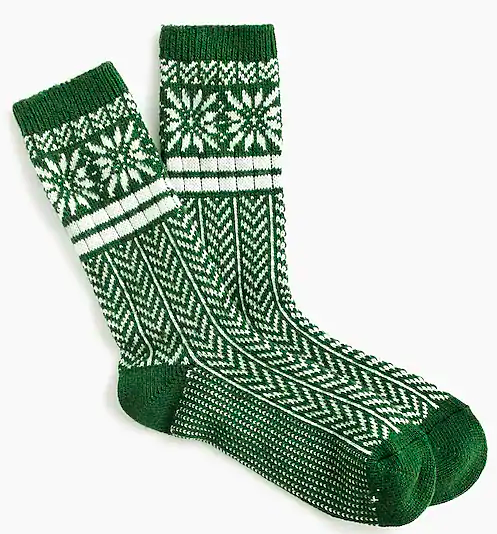 Having a warm pair of socks that aren't too thick or bulky is never a bad idea. Wear them around the house or with your favorite pair of boots. 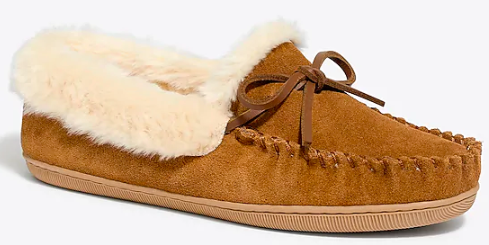 I was never a wearer of slippers until I bought this pair from J.Crew Factory last year. Now, I barely take them off when I am home. I am a slipper-convert and you can be too if you buy a pair. There's even a fun glittery pair. Hurry! They are currently 40% off with code GIFTING. I felt the same way about hats as I did about slippers until I found one that fit perfectly and looked great. Now, I am always buying knit beanies for the winter. This one falls into the "totally love and fits like a glove" category. 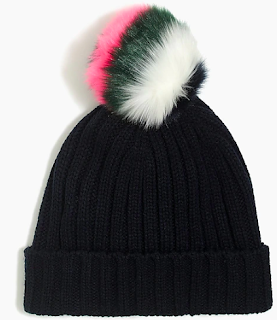 And the colorful faux pom-pom? That's as cute as can be and a fun detail.